As you know today is not only Valentine’s Day but also our Wear Red Day. We are raising awareness of the need to look after our hearts. 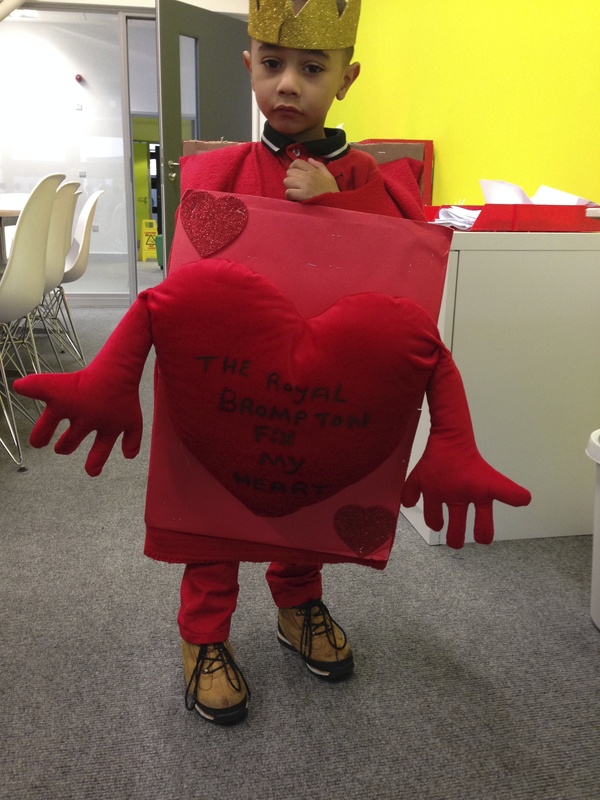 One of our Nursery pupils came to school in this fabulous outfit today share with us that the Royal Brompton Hospital fixed his heart. He recently had a major operation on his heart and his parents wanted to share their enormous gratitude to the hospital for saving their son’s life. I thought that it would be a nice gesture to send the money we raised today to the Royal Brompton and Harefield Hospitals Charity so that they can continue to fix many more children’s hearts! So, if you haven’t sent any money in this morning, please try to make a donation before the end of the day towards this truly deserving charity. Previous Post Wear Red Day! A lovely idea! And what a fantastic costume. What a great cause and he looks fabulous in the outfit. Dyllan look’s fantastic in his costume and what a great cause! !